"Support the materials from the Activity and Story Books with concise teaching notes and practical activity suggestions, based on a mastery approach. -Gain clarity on the mastery approach and how it works to embed understanding of popular science themes in the Early Years setting with clear background information. 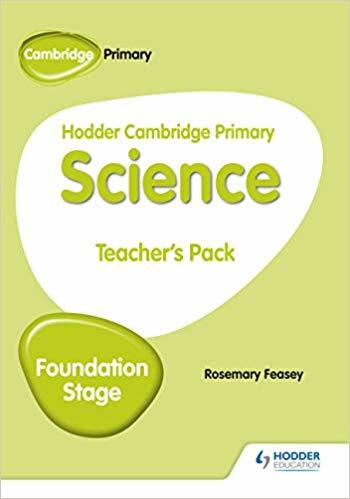 -Ensure full coverage of units with unit overviews and links to the Cambridge Primary Stage 1 curriculum framework, and the Early Years Foundation Stage Early Learning Goals for science (within the Knowledge and Understanding of the World strand). -Introduce, practise and consolidate the objectives covered in the Activity and Story Books with practical activities, including success criteria linked to the Early Learning Goals that are covered. -Link across all resources in the series with ease using references to the relevant pages in the Activity and Story Books. -Save time planning lessons and support activities with photocopiable resources."